**You do not need to purchase the item on Kobo to leave a review. 2) Click on the “My Account” button, and then sign in to your new account (or create a new account if you do not already have one). 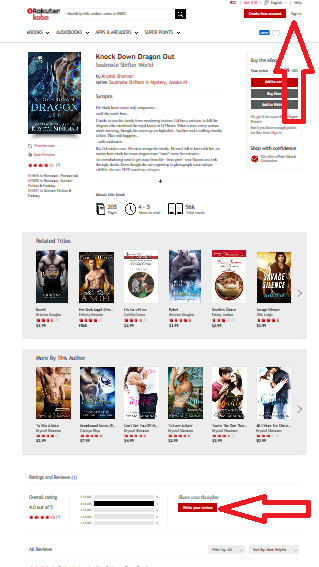 3) Find the book you want to review via the site search engine. 4) Scroll down to locate the “Write Your Review” button. Click on the hyperlink to post your review. 5) Fill in a star rating, review headline, review text, etc. 6) Click on the “submit” button.